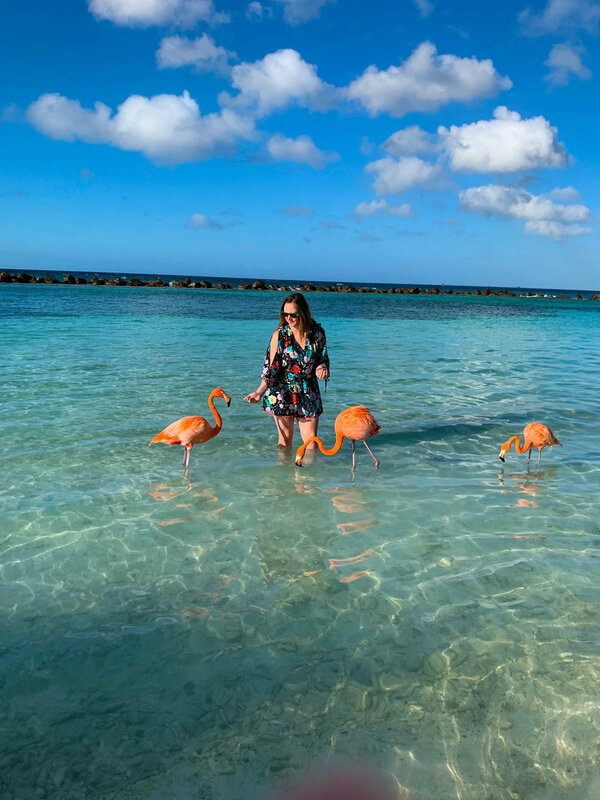 My favorite part of Aruba was definitely hanging out with the Flamingos on Renaissance Island’s Flamingo Beach! Just because I’ve posted hundreds of pictures of these pink beauties, doesn’t mean you can find them all over Aruba. They have inhabited the Renaissance Island and you must plan ahead to see them, they are not available to the public. Here’s all you need to know about the island so you don’t miss out on your flamingo selfie. This is a perk for staying at the Renaissance Aruba hotel because it’s free to get in! If you’re looking to spend the day there, it’s $100 a day per person but comes with food and a drink. However, if the hotel is completely booked, they might not offer the pass and you can only purchase tickets the day of, first come, first served. Find the best rate for the Renaissance Aruba by booking your room through Booking.com! The island is open from 7am to 7pm with boats that come every 15 mins, picking up in the lobby by Starbucks as well as over by the casino. When the tide is low and the boats can’t make it into the lobby, pick up is in front of Lucy’s right across the street from the Renaissance. You must use your room key or day pass to get on the boat. There are 2 hotels at the Renaissance property, an adults only hotel and a family hotel, both right across from each other. The adults only hotel is more inland but still in the marina. It’s also connected to a very fancy, high end mall and casino! These beautiful pink birds hang out at Flamingo Beach all day! Kids are allowed from 9-10am to feed them and take the cutest family photos. Since we stayed at the hotel we ended up going 2 days in a row. We went the first day around 2pm and stayed until 5:30pm. I was immediately glued to the flamingos as soon as we arrived. I probably took 200 pictures/videos! Food and drinks served at bar until 5pm on Flamingo Beach. I wanted something to match my new friends and went with a strawberry daiquiri. We had a burger as a late lunch and ate it on the beach while watching the flamingos roam. The bartender suggested to leave before 6pm so you didn’t have to wait long for a boat to come. We came back the next day and missed the 8:15am boat since they loaded across the street because the tide was low to pick us up in the lobby. We caught the 8:30am which was pretty crowded. It was still nice to get there early and have one on one time with my pink friends! Bring a few US quarters, there’s a gum ball dispenser filled with flamingo food when you walk in! $0.50 is a lot of food to feed them for one person. They’ll either eat it right out of your hand or run from you depending how much they’ve already had to eat. What else is there to do at Flamingo Beach? 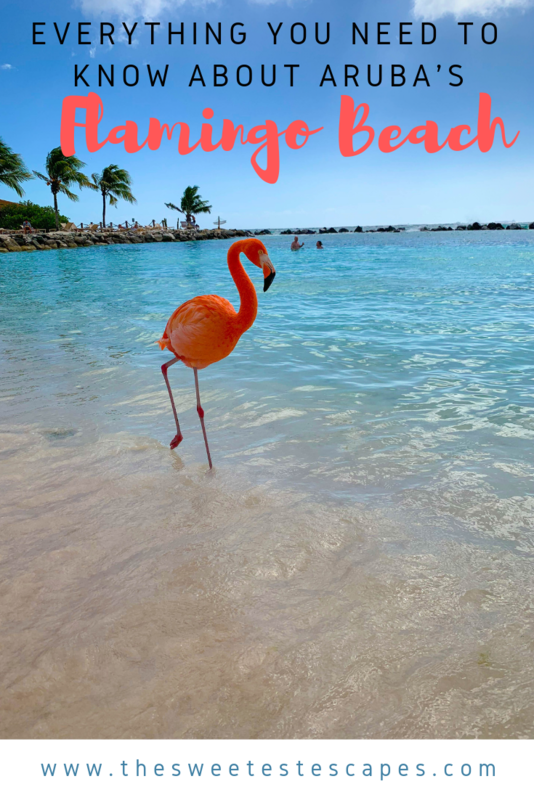 Other than watching the silly flamingos, Flamingo Beach is a great beach to take a dip in! 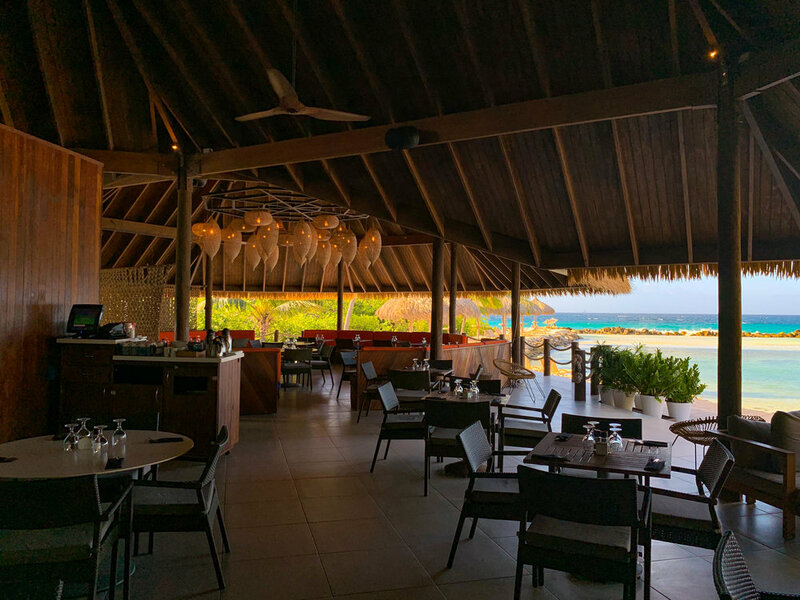 The beach is fully equipped with towels, pool chairs, bar, restaurant, bathrooms, floaty rentals, scuba gear, etc. We charged things to our room or you can pay in US dollars or their local currency, Florin. Don’t miss an opportunity to relax in a hammock! Rent floaties for $6 a day or rent a fancy cabana ahead of time. You can even get massages on the island in private rooms! Iguana beach is the family beach and more like a beach! There are plenty of fish to see if you snorkel or you can swim/float/etc. Breakfast is served from 8a-12p. The menu is limited to a few items for $19.95 USD, you can get a fruit plate, basket of pastries, entrée, and coffee/tea/orange juice. If you head towards the end of Iguana Beach past the restaurant, there is a hidden area where baby flamingos nest! The babies aren’t as pink as the adults, but they are still so cute! Again, find the best rate for the Renaissance Aruba by booking your room through Booking.com!